NAFC can help you decide the best approach to your flight training be it Part 141 or Part 61. Part 141 Flight Schools train within a more structured environment than Part 61 schools. Certification as an FAA approved Flight School under Part 141 training is closely supervised by the FAA. Training under Part 141 regulations is permitted only by instructors associated with an FAA-approved flight school. In order to become approved, a flight school must meet certain requirements and submit each curriculum it wishes to have approved to the FAA for review. Part 141 approved schools are subject to regular inspections by the FAA and must meet minimum pass rates on the practical exams. What does this mean to the student? Standardized training: You will be trained to the highest possible standards in well-maintained aircraft by motivated instructors. 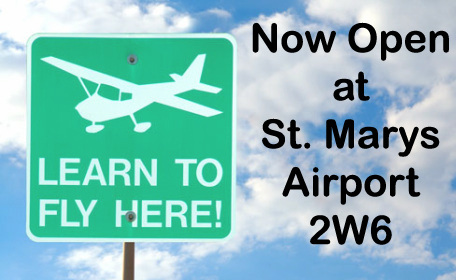 Reduced flight hours: Under Part 141, you receive more dual flight instruction and follow a formal syllabus; therefore, the FAA allows completion of a certificate or rating with reduced hours. This is a considerable savings to students in all ratings. For example, the FAA requires a minimum of 35 flight hours for a private pilot license at a Part 141 school vice the minimum 40 flight hours at a Part 61 school. For the commercial rating, Part 141 requires 190 hours of training vice the 250 hours at a Part 61 school. Stage Checks: You will take practice check rides with our Chief or Assistant Chief Instructor. This helps manage the "check ride jitters" and ensures you are qualified for the FAA check ride! Flight schools certified under Part 61 offer a flexible training program. Training under Part 61 does not require students to complete a formal ground school. Students have the options of attending a ground school course, home-study program, or hiring an instructor to review and teach any materials they are having problems understandings. However, all students must pass the FAA Knowledge and Practical Tests for the particular certificate or rating. The regulations governing a flight school under FAR Part 61 are less strict than schools operating under FAR Part 141, and therefore require more minimum flight hours to obtain your certificate or rating. A brief comparison of the Part 141 and Part 61 training programs are provided below. Veterans may use their GI/VA benefits to cover 60 percent of their flight training.